FLDS: Guilty although their wives are officially declared as friends. Blackmore and Oler are from Bountiful in southeastern BC, a religious community of about 1,500 people founded in 1946. Both are former bishops with a breakaway Mormon sect, the Fundamentalist Church of Jesus Christ of Latter-Day Saints (FLDS). Mr Blackmore was excommunicated from the FLDS in 2002 and replaced by Mr Oler. The Canadian religious leaders have been found guilty of practising polygamy by the Supreme Court of British Columbia (BC). The trial heard Winston Blackmore, 61, married 24 women. His former brother-in-law James Oler, 53, married five. They were both charged with one count of polygamy. Each face up to five years in prison. The Fundamentalist Church of Jesus Christ of Latter Day Saints (FLDS) is constructing on its property located on Farmer Road in Custer County, South Dakota. Custer County Sheriff Rick Wheeler was told by Ben “Ed” Johnson, the person in charge at the FLDS compound, that it is to be a milking barn, but after seeing photos of the project, Wheeler suspects it is something else. What that something else is, he doesn’t know. Dave Green, Custer County planning director, sees a similarity between this structure and one at the FLDS Yearning For Zion (YFZ) compound in Eldorado, Texas. 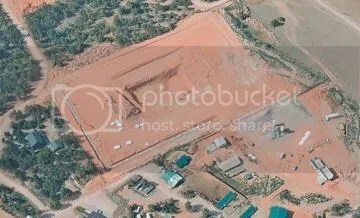 That structure is the size of a stadium and shaped like an amphitheatre in which it it has been rumored that a 30’ statue of FLDS prophet Warren Jeffs with a small child will be placed. Green notes that the packing materials in which the statue was delivered to the YFZ compound is identical to packing materials seen in the photo shown here. Although Green is concerned about what the FLDS may be constructing in that area, as there is no formula for dealing with an amphitheatre — should that be what it turns out to be —that structure isn’t Green’s main concern at the present time. What concerns him are the two new buildings in progress in the lower right and lower center of the photo. After the FLDS completed part one of the road project on 20 Mile Road, it was eligible to receive two building permits. Part two of the road project has also been completed— and completed very well, Green notes — but no building permits have been applied for, nor given. A brewing battle between the FLDS church and the state of Texas was put on ice Friday when government attorneys discovered they didn’t actually serve the right people with the right court documents. Texas attorneys moved to take control of the church’s Yearning for Zion Ranch on Nov. 27 when they filed a 91-page seizure warrant. The warrant alleged that the ranch functioned as a remote base for molesting children. According to Attorney General of Texas spokeswoman Lauren Bean, the case documents were served on Warren Jeffs, who is in prison, and his brother Issac Jeffs while he was visiting Warren. A copy of the documents also was taped to the gate at the ranch. Earlier this week, both sides agreed to give FLDS attorneys until Friday to respond to the allegations, which amounted to a civil lawsuit. But by Friday, no one had filed a response from the FLDS. Dan Gerson, who represents the FLDS in the case, confirmed Friday that he had not filed a response. But Bean said the Friday deadline no longer applied after lawyers from her office learned that the correct people had not been served. Bean explained that at some point attorneys learned that rather than the Jeffs brothers, they actually needed to serve an “unknown possessor” of the ranch. Bean did not have information about the unknown possessor’s identity or how attorneys learned the correct party hadn’t been served. However, that party had finally been served by Friday, Bean said. As a result of the confusion, FLDS attorneys now have until Jan. 28 to respond to the state’s attempt to seize the ranch. FLDS United Effort Plan trust, which was taken over by the state in 2005. With Jeffs out of the picture, the UEP he once controlled is now in control of the State of Utah. 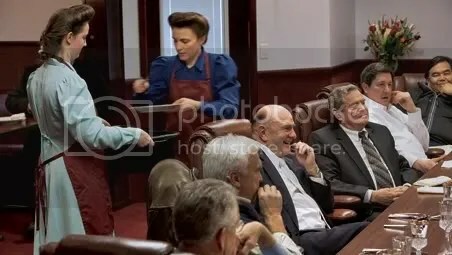 Attorneys General for Utah and Arizona want to give the power back to the community where it belongs, but no one from the FLDS community is willing to discuss the issue with the state leaders. Jeffs is instructing his followers not to cooperate. Even the Mayor and city council members failed to show up at the important meeting. The options presented by the state leaders to give the trust back to the FLDS include: 1) Nominating a new board of trustees. 2) Dissolving the trust and distributing the assets, this option had the most support from the mostly apostate FLDS who attended the meeting. 3) Dissolving the trust and liquidating the assets. 4) Negotiate a new arrangement. Information from the meeting will be provided to Third District Judge Denise Lindberg in Utah who will ultimately determine the fate of the trust. The decision by Utah’s Supreme Court upholds its own 2010 ruling that the three years the Fundamentalist Church of Jesus Christ of Latter-day Saints waited to challenge the state takeover was too long. It also bars the case from being heard by other state judges. [June 6]Two polygamous sect property trust issues No immediate deadline was set for opinions on the issues, though there is an Aug. 1 deadline on the unpaid-bill question. The Utah Supreme Court heard arguments June 6 on two issues related to the United Effort Plan trust, which was taken over by the state in 2005. 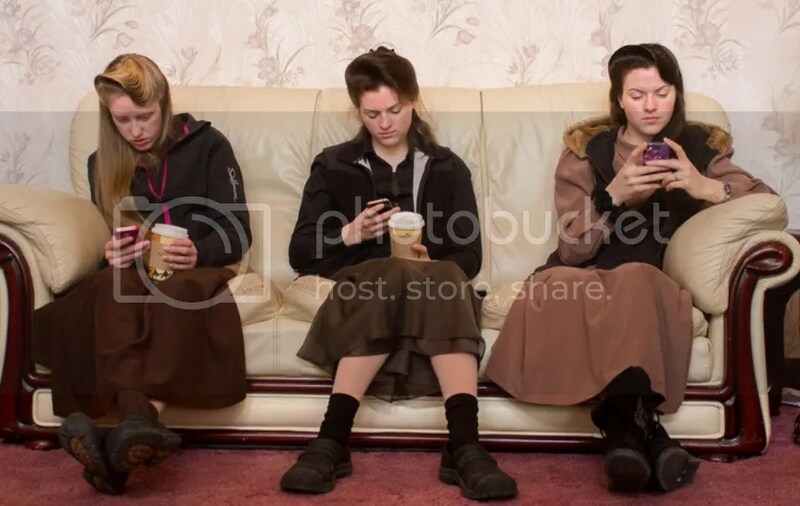 1 » Whether justices’ 2010 decision dismissing an FLDS challenge to the takeover should prevent any other courts — including a federal judge who later ruled the takeover was illegal — from considering the case. The answer could determine if the trust stays in state hands or goes back to the sect. 2 » If the state of Utah should pay more than $5.5 million in unpaid bills owed to the accountant who has been managing the trust and his employees. A former spokesman for the polygamous sect led by Warren Jeffs has won a default judgment in a civil lawsuit accusing church leaders of burglarizing his office as retribution for speaking against the imprisoned leader. A 5th District Court judge awarded Jessop and his business nearly $30 million after leaders Lyle Jeffs and John Wayman failed to respond, according to an order issued Monday. Jessop said the leaders orchestrated a break-in to take back evidence he’d been using to coordinate Warren Jeffs’ defense and to trash the building. He broke with the leadership shortly before Warren Jeffs was sentenced to life in prison after being convicted of sexually assaulting two girls, ages 12 and 15, who he took as plural wives. “It went from being a religion … to being really nothing more than a cartel,” Jessop said. Romania, Bulgaria and Hungary host a series of multinational exercises called Saber Guardian 17. U.S. forces are currently transporting tanks, infantry fighting vehicles and other equipment from Germany to Romania, Bulgaria and Hungary for a series of multinational exercises called Saber Guardian 17. Saber Guardian 2017 is a multinational military exercise involving approximately 25,000 military personnel from over 20 participating nations. The Black Sea Region exercises for 2017 include numerous U.S., ally, and partner national exercises, with SG17 being the largest. Each is separate and distinct, however many of them contribute to or enable SG17 in various ways. As a whole, these exercises demonstrate the United States and NATO’s superior joint and combined capabilities and highlight our collective will to defend against regional aggression.